Coming from the palace, with what I was told by my late paternal grandmother who is a descendant of Oba Ovonramwen Nogbaisi. Also reading from factual Historical books. Let me share this Knowledge with you all on Eko/Lagos. Modern-day Lagos was founded by Prince Ado, the son of the Oba of Benin, Prince Ado was the First Oba of Lagos, the son of the Bini King, Prince Ado, named the town Eko until the Portuguese explorer Ruy de Sequeira changed the Maritime town to Lagos, which at that time from 1942 was Portuguese expedition center down the African Coast. It was a major centre of the slave trade until 1851. Lagos was annexed by Britain via the Lagos treaty of cession in 1861, ending the consular period and starting the British Colonial Period. The remainder of Modern-day Nigeria was seized in 1886 when the Colony and Protectorate of Nigeria were established in 1914 Lagos was declared its Capital due to the struggle of the Bini King. 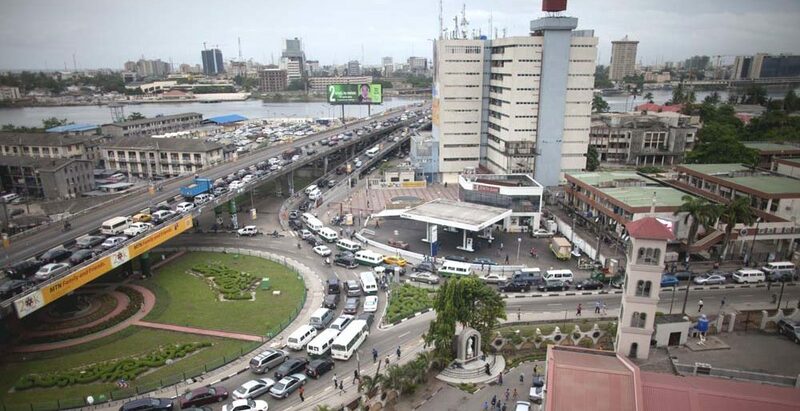 Lagos experienced growth pro to the British Colonial rule and even more rapid growth during the Colonial rule throughout the 1960s, 70s, continued through the 80s and 90s till date. Thanks to the Awori’s, Bini’s, Yoruba’s, migrants across the Nation and the world at large, as no particular group of people can take the Glory alone. Lagos is made up of Lagoons and creeks. The Lagos lagoon, Lagos Harbour, five known creeks. Ebute-Metta creeks, Porto-Novo creeks, New canal, Badagry creeks, Kuramo waters and Lighthouse creeks. The Awori’s and Bini’s are known to be the first settlers of the Eko Land. The Awori’s are speakers of a distinct dialect close to that of the Yoruba Language with a rich Bini mixture. Traditionally, Awori’s were found in Ile-Ife, they were known to be the Bini’s who followed their self-exiled Prince, the first son of the Ogiso (now called Oba) of the Benin Kingdom, whose Step-Mother was after his head. The Exiled Benin Prince Izoduwa known to the Yoruba’s as Ooduwa (Oduduwa) was made the ruler of the Ife people due to his Powers and followers from the Great Benin-Kingdom. Izoduwa (Ooduwa) was made the First King of Ile-Ife in 1230 AD. His followers from his father’s Kingdom in Benin are the today’s Awori people who settled in Eko now called Lagos. In 1300, the King of Benin-Empire heard from one of his traders who was a settler in Eko on how the Bini’s were treated by the Awori’s who lived in their area. Upon hearing this the King of Benin commanded the assembling of a War expedition, lead by his Son Prince Ado, which headed the settlement of the Awori’s and demanded and explanation. On arriving Eko, Prince Ado and his Army were more than received. The Awori’s asked the Bini Prince to stay and become their leader. Ado agreed on the condition that they surrender their sovereignty to the Oba of Benin, to which the people agreed. Hearing this, the King of Benin gave his permission for Prince Ado and the expedition to remain in Eko. The Oba of Benin sent some of his chiefs including the Eletu, Odibo, Obanikoro and others to assist his son Oba Ado in the running of Eko. From the crowning of Prince Ado as the First Oba of Lagos (then called Eko) Lagos served as a major center for slave trade from which the Awori’s, the Oba of Benin and his son the Oba of Lagos and all the children/descendants who took over as his successors for over four centuries supported the trade. The Oba of Benin was head of the Benin-Empire which are present day Western, Southern and Eastern modern- day Nigeria. The King never obliged anyone to speak the Bini language as he believed everyone was entitled to their own choice of language. Until the coming in of the Benin’s 1300AD, Lagos geographical boundary was Lagos mainland, Lagos Island, the seat of the Oba of Lagos then consisted of a pepper farm and fishing post. No one was living there. About 1450 AD some Yoruba’s who hailed from Isheri in Ogun-State and Ekiti were allowed by the King to settle in Eko during a war, they came in very large numbers thereby surpassing the numbers of the Awori’s and Bini’s. (Hence Yorubas claim to own Eko due to their numbers). Oba Ado fell in love with a beautiful woman whose father was Awori and mother a daughter to one of the chiefs, they had two sons and also a daughter Erelu Kuti, who begat Ologun Kutere who later became King. Oba Akintoye descendant of Prince Ado whose mother was the First Queen from Awori ascended the throne as Oba of Lagos in 1841, he attempted to ban slave trade with the help of the British, but the local merchant, the Aworis, Binis and a few Yorubas who was already integrated and married to Aworis and Binis strongly opposed the intended move and deposed and exiled the King and installed Akintoye’s brother Kosoko as Oba. In exile in Europe, Akintoye met with British authorities who had earlier banned slavery in 1807 and the British decided to support the deposed Oba to regain his throne. With the success of the British intervention in 1851, Akintoye was reinstalled as Oba of Lagos. In practical terms, however, the British influence over the Benin Empire had become absolute, then years later in 1861 Lagos was formally annexed as a British colony. This led to the fight of the British and the Bini King, the leader of the Benin empire for years, which finally led to the fall of the empire and the capturing of Oba Ovonramwen. Oba Akintoye of Lagos was the first Oba not to be buried in Benin. Prior to this all the kings of Lagos were buried in Benin. They passed on taxes to the Oba of Benin until the British settled in Lagos. Until today, the Oba of Lagos is the head of all the Obas in Lagos because the Binis believe that whatever they or their offsprings are they are senior.The status of the Oba of Lagos is different from other Obas most of whom were given back their crowns and staff of office only within 40 years ago. Those who got their lands back was the original land owners, and they were mostly descendants of Prince Ado and other children of Olofin.